Layout for April's challenge at scrapforhelp..... use buttons! All papers from majadesign's "Life in the Country" collection - I used only the red ones to keep the 'chaos' manageable. 2. Beth's knickname is "Li'l Bear" or "Beary"....so title has double meaning. Wow wow wow wow!! This is GORGEOUS!! I loveeeee the photos, and the way you have them in the circle patterns and loveeeeeeeeee the paint splatters!!! What a sweet way to capture a child's beloved friend. I like the way you incorporate specific items and then share the meaning with us, this is such a precious LO! Congratulations on making the G45 Design Team Sharon. You are such a talent and it's no surprise you made the team. I look forward to seeing all of the wonderful creations you'll make with their products. ... and I'm a little late (cos the internet here is super duper slow! 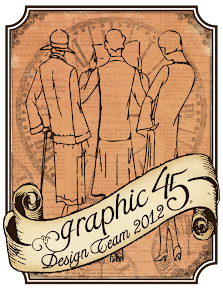 ), but CONGRATS for making the team on G45! So happy for you!!! That is such a beautiful layout and I love all the bright red going on here! Something refreshing from you, anyway I just adore what you do! i love that you're easily amused. LOVE you as a person.. we must meet soon because i miss you a whole lot! !